AphanoDB is a data bank for Aphanomyces ESTs developed at the UMR 5546 CNRS-Université Paul Sabatier Toulouse III (France). The Aphanomyces project is one of the objectives of the research group in cooperation with the European Grain Legume FP6 project devoted to the implementation of transcriptomic and genomic data on the molecular interaction of Aphanomyces euteiches with Legumes. The development of an extensive EST database for Aphanomyces (AphanoDB). The analysis of transcriptomic analyses based on macroarray & microarray derived from ESTs collection. Why a Aphanomyces sequence collection ? The oomycetes are filamentous microorganisms that have been classified within the fungi for a long time, but they are phylogenetically distant from the Kingdom fungi and are more related to diatoms and brown algae. Because of their original taxonomic position and their biological properties (motile spores, cellulosic cell walls, specific metabolism, etc. 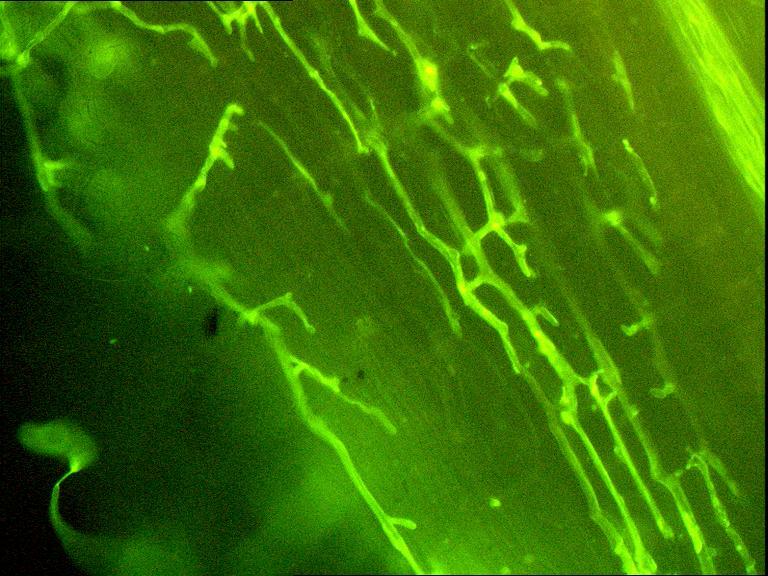 ), the mechanisms underlying pathogenicity of the oomycetes cannot be directly deduced from those of the true fungi, and are poorly understood. Comparison of sequence data from phytopathogenic oomycetes (Phytophthora) and true fungi (Magnaporthe grisea, Fusarium graminearum, Botrytis cinerea, etc.) have confirmed this great divergence. 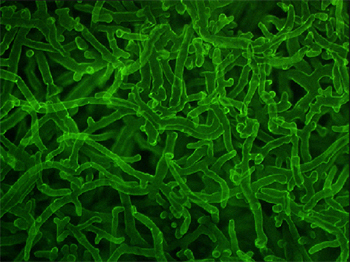 Recently, the genome sequencing of three exclusively phytopathogenic oomycetes from the Peronosporales family (Phytophthora) has been undertaken in the United States. The genus Aphanomyces, a member of the Saprolegniales, occupies a unique position within the oomycetes. Aphanomyces euteiches is a major parasite of several legumes including pea, alfalfa and clover, and is a threat to the production of proteins of plant origin, for which there is an ever-increasing demand. The acquisition of sequence data from Aphanomyces euteiches is therefore justified by its distinct taxonomic position, its host range and its impact on agriculture. Furthermore, the capacity of A. euteiches to infect the model legume Medicago truncatula reinforces the relevance of this microorganism for the study of plant-parasite interactions. In collaboration with the Génoscope (Evry, France), a project concerning the sequencing of A. euteiches cDNA was undertaken ( Génoscope Project Aphanomyces). 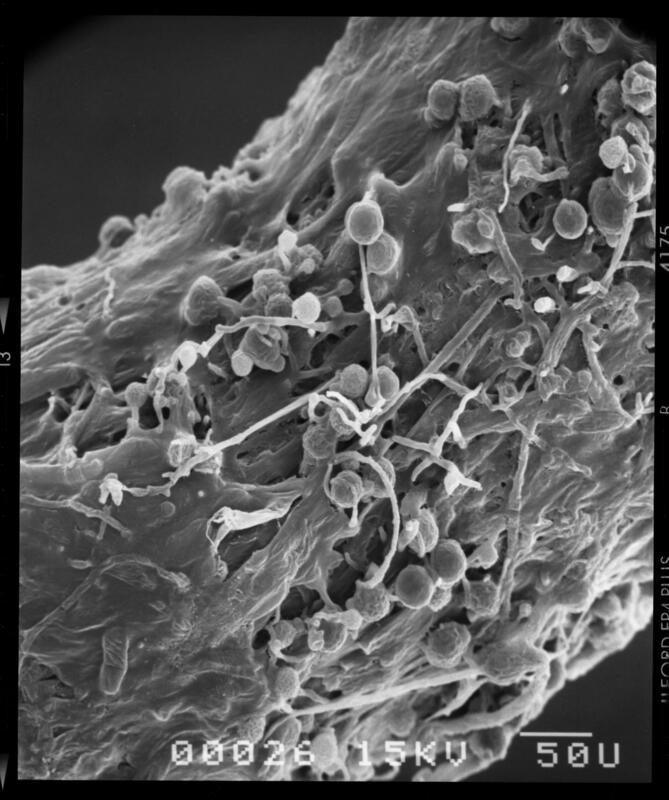 The objective of the project is to produce a collection of Aphanomyces euteiches ESTs by 5' sequencing of two cDNA libraries (10,000 reads for each one) constructed from mRNA from a mycelium cultivated under two different conditions. This will be followed by the functional analysis of candidate genes selected on the basis of their expression pattern and/or sequence similarities to known genes.